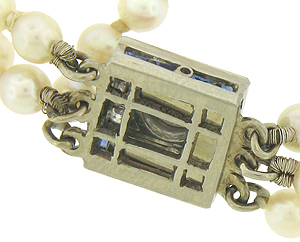 This fantastic triple strand of luminous pearls is finished with a 14K white gold clasp. 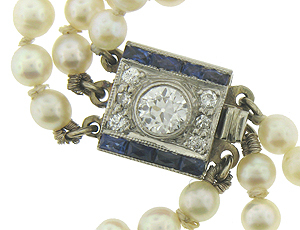 The Art Deco stylized clasp is set with a dazzling .25 carat, round cut diamond framed in additional fine faceted diamonds and a double row of square cut sapphires. 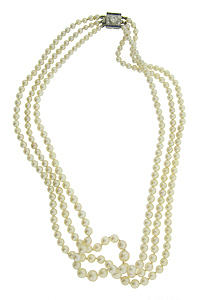 The graduated pearls measure 13", 15" and 16" in length. Circa: 1940.